If you are visiting Aruba for the first time, you will be surprised to see that small island offering so much. Aruba is a beautiful destination that features a number of historic, adventurous and natural places of interest to be visited. It is an ideal place to enjoy absolute relaxation, awesome beaches and gentle seas that provide food to the soul. It also features several spa resorts to get back inner harmony and indulge in a wide range of generous treatments. In Aruba, one can come across several beautiful tourist attractions. Here are some not to be missed landmarks of the city. 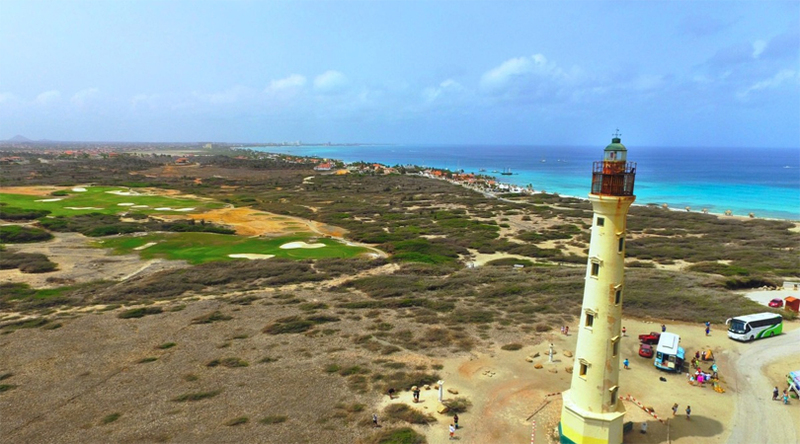 People often get confused that Aruba has a lighthouse called after a US State; however, this structure is named after the S.S. California – a sunken ship before the lighthouse that was constructed in 1910. So, it is reasonably new and was created with the purpose of shielding the ships at sea. Visit nearby California Sand Dunes with family for fun and enjoy delicious food at the Faro Blanco restaurant offering luminous views of the horizon. This huge National Park is a great ride and home to a long list of animal species and plant life. The park is Aruba’s national treasure and we protect everything inside this park. It is an ultimate place to spend an entire day while exploring the dramatic landscapes. The caves are having lava formations. One can hike on the several trails here and visit a number of limestone caves to see the pictographs. Aloe Vera is one of Aruba’s chief exports and can be found everywhere on this desert island. The place gets less than 12 inches of rainfall annually. The plant was introduced to the island in 1840 and at the present it is a thriving industry. 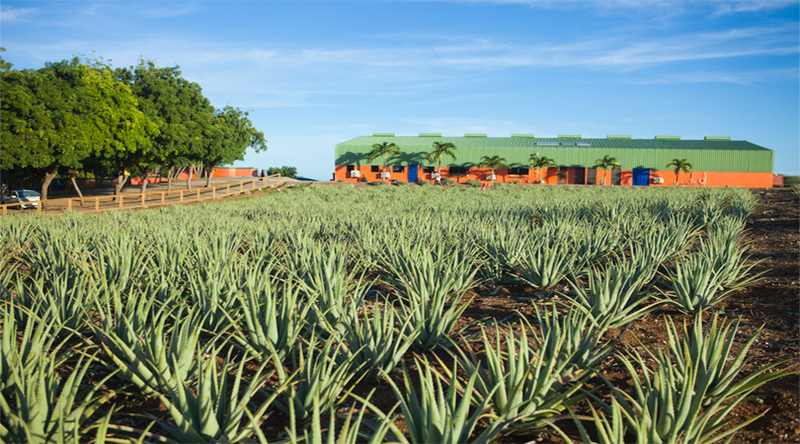 Enjoy a tour through the high-tech Aruba Aloe Factory and see the complete production process in person from Aloe Vera leaf to completed Aruba Aloe lotions. 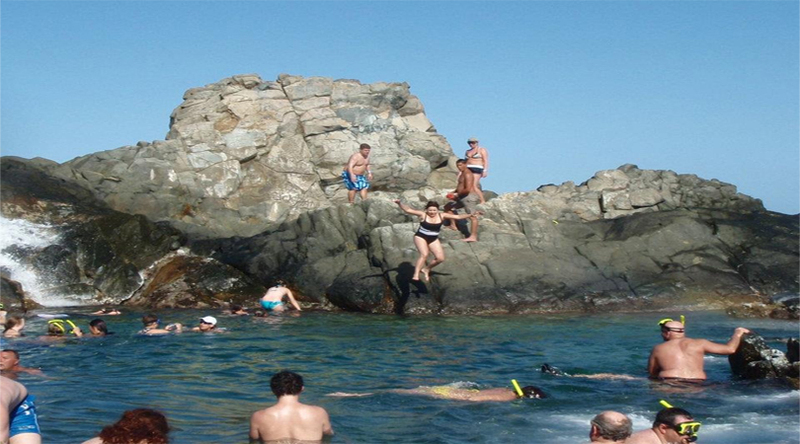 Situated at one end of Arikok National Park, Natural Pool is not technically a beach. 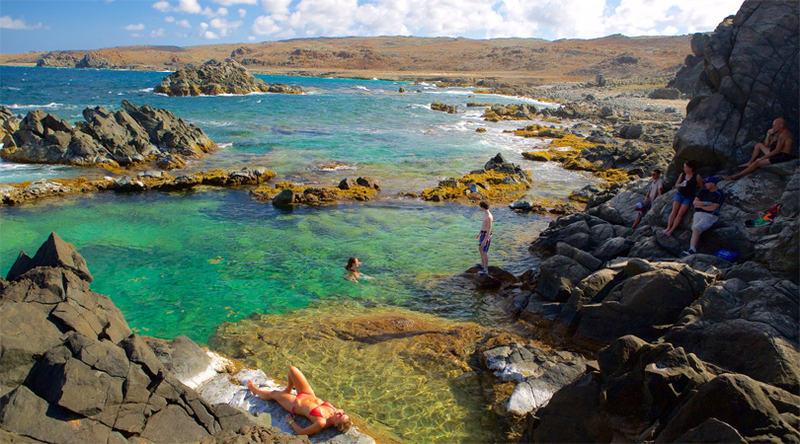 Along a deserted coastline, it is a natural and rock-enclosed pool recognized in the vicinity as “conchi” or “Cura di Tortuga.” It can be best reached by walking or a 4×4 vehicle. Be prepared to get sprayed by the ocean’s advances as you get to spin within the shallow pool. 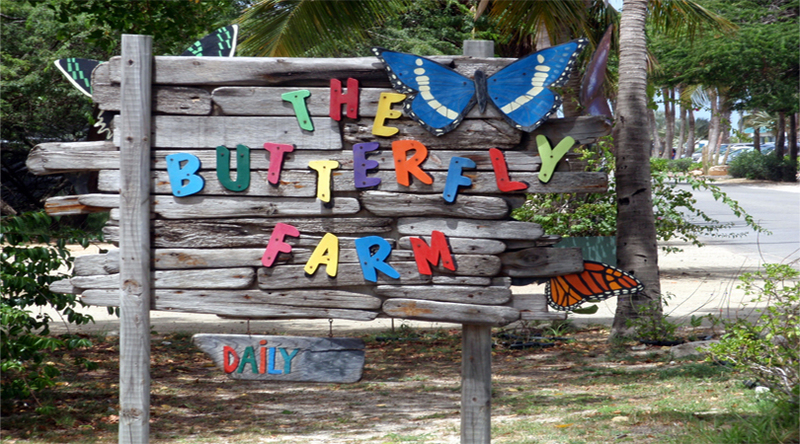 The Butterfly Farm of Aruba is a cherished encounter with nature bestowing unparalleled beauty and multiplicity. Step into a humid garden packed with butterflies from around the globe and get ready to meet some of the world’s most vibrant and remarkable creatures. Watch the life cycle of these small creatures from being egg to caterpillar to chrysalis to butterfly. Visiting this place is an ultimate experience. 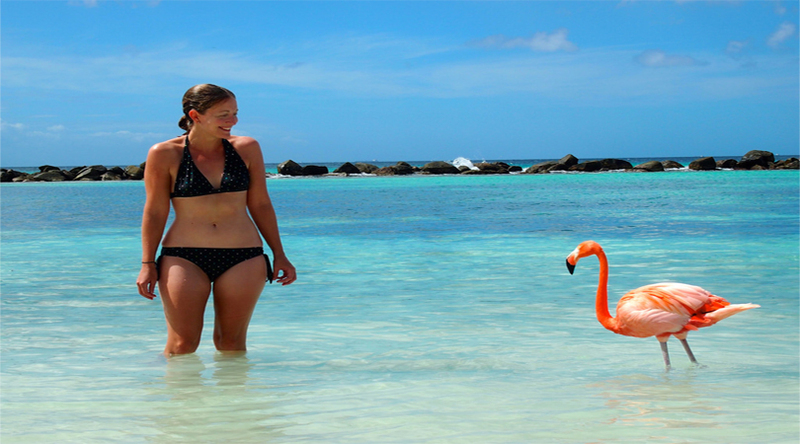 There is various other tourist attractions in Aruba that you would love to explore on your Aruba tour. Enjoy a visit to this destination and have numerous beautiful experiences.